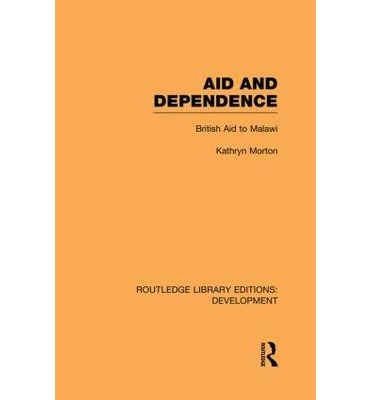 First published in 1975, in conjunction with the Overseas Development Institute, this study examines the case for and against aid for developing nations, taking the specific example of British aid to Malawi's economic development since independence in 1964. Kathryn Morton suggests that without Britain's aid, Malawi's capacity to develop would have been severely undermined and that aid has not generally inhibited Malawi's efforts to help itself. The rapid growth of both agricultural and industrial output alongside foreign exchange earnings and avoidance of large-scale urban unemployment and balance of payment problems do not bear out the critics' gloomy predictions. This book does much to counter the critics' case against aid and raises a number of vital questions in determining the future shape of aid policies for both Britain and other developed countries.